History of Old Trinity Lodge was presented at this celebration. Before starting on this little dissertation, I have a confession to make. Inasmuch as it is entirely without the scope of my ability properly to execute a work of this nature, I have taken the liberty of using the history written by Worshipful Brother Jonathan Smith on the occasion of the 50th anniversary in 1908, making such changes as are necessary to fit the changed conditions and the lapse of time. That portion which I have appropriated is 80 to 90 per cent as written by Worshipful Brother Smith. It is, therefore, to Worshipful Brother Smith, and not to myself, that we are indebted for what is great, judicious, and distinct in this history. In 1858 Clinton was a town of about 3000 people. It had no Town Hall and no Public Library. Social life was limited to lectures through the winter season, an occasional dancing and singing school, and now and then a concert or ball in Clinton House Hall. There was not a single club nor secret society, where now there are more than fifty, and we may well wonder in what way the people, young and old, found sufficient outlet for their leisure activities. The only social organizations then existing which have survived are the churches. The business men of the town were young, most of them under forty years of age. In Lancaster and Sterling lived some ten or more aged Masons, members of the Old Trinity Lodge chartered in 1778. But one resided here, Levi Greene, who was one of the last initiates of the elder Trinity. There were also some half dozen young Masons in town who had received their degrees in neighboring Lodges or elsewhere. To all appearances it was not an inviting soil in which to plant a Masonic Lodge, an institution then little known in this vicinity and exciting no interest. Thanks to the foresight and courage of a few choice spirits among the young members resident here, the enterprise was undertaken. The plan of forming a Lodge in Clinton probably originated with Alfred A. Burditt and in the work he was ably supported by three men, Henry Bowman, Daniel Marsh, and George L. Thurston, all under thirty years of age. Through the summer of 1858 the subject of forming a Lodge was frequently discussed by Brothers Burditt and Bowman. They also consulted with some of the surviving members of Old Trinity. Finally Brother Daniel Marsh suggested that E. Dana Bancroft, of Groton, be consulted. Brother Bancroft readily promised his aid and a meeting was arranged in Clinton to discuss the matter. The place and the date of this meeting are unknown. Some half dozen or more were present, but the full list of the names has not been preserved. After a full discussion and with the hearty approval of E. Dana Bancroft, it was determined to take decisive steps toward organizing a Lodge. Accordingly a meeting was called, to be held in Harris Hall in C. W. Field's block on High Street for Wednesday evening, September 8, 1858. There were present, E. Dana Bancroft, Alfred A. Burditt, Henry Bowman, Daniel Marsh, A. M. Eaglesham, George L. Thurston, Henry Eddy, Charles Odiorne, and one Brother from St. Paul's Lodge. It organized with choice of E. Dana Bancroft for Master, and G. Thurston as Secretary. The subject of organization was fully debated. It was the strong desire of the Brethren to organize under the Charter of the Old Trinity Lodge and Brother Bancroft was chosen a committee to ascertain if Trinity Lodge No. 6 could be revived in Clinton, and if not to make such further inquiry as might be material for the establishment of a new Lodge. Brothers Bowman and Eddy were made a committee to find out the rent of Harris Hall and to estimate the probable cost of fitting up and furnishing it for the required purpose. The meeting then adjourned for a week. On coming together again, Brother Bancroft read a communication from the Secretary of the Grand Lodge, stating "That Trinity Lodge of Lancaster could not be revived, it having been dead 30 years, and that the proper course would be to establish a new Lodge by petition to the Grand Lodge." The form of the petition was then read. The name of the new Lodge was next considered and it was unanimously voted that it should be "Trinity" in memory of its predecessor in Lancaster. At this meeting the following officers were chosen, E. Dana Bancroft, W. M., Henry Bowman, S. W., Alfred A. Burditt, J. W., Daniel Marsh, Treas., George L. Thurston, S. D., A. M. Eaglesham, J. D., C. W. Odiorne, S. S., Henry Eddy, J. S. The election of Secretary and Tyler was postponed. George L. Thurston acted as Secretary of this meeting as he did for some time thereafter. The committee to learn the rent of the hall reported, for the first year it would be $50.00 and $75.00 for the four following if a five year lease were taken. It was subsequently leased for five years at $50.00 per year. The petition for a Dispensation was then filled out and signed by the following brethren: — E. Dana Bancroft, Henry Bowman, Alfred A. Burditt, Daniel Marsh, George L. Thurston, A. M. Eaglesham, Chas. W. Odiorne, Levi Greene, Anthony Lane, Luke Bigelow, John Bigelow, John G. Thurston, Reuben Blood, Joel Pratt, and Horace Faulkner, 15 in all. The Secretary's minutes of this meeting show only the first six as present and the remaining signatures were obtained afterward. A brief sketch of some of these Brethren may be not out of place at this time. Brother E. Dana Bancroft's career was unique in the annals of Massachusetts Masonry. He was initiated in Aurora Lodge, September 8, 1856, and became a member of St. Paul Lodge in November 1857. In less than two years he was chosen Master, holding the office three years. When he became Master of Trinity Lodge under the Dispensation he had never before occupied the Oriental chair. He was Master of four different Lodges under Dispensation and of two under Charter. He was also Grand Lecturer for thirteen years. Probably no Mason of his time had such a thorough knowledge of the ritual and forms and usages of the craft. He died August 12, 1896, sincerely mourned by the craft throughout the state. The plan of forming a Lodge of Masons in Clinton probably originated with R. W. Bro. Alfred A. Burditt. It seems that in his father's house was a clock which had upon it certain mysterious characters. These characters interested and intrigued the boy Alfred, and he asked his father their meaning. His father, not being a Mason, could not enlighten him. Later in life he attended political meetings in Worcester, some of which were held in a Masonic hall where he saw more of these symbols, also some of the furnishings of a Lodge which further stimulated his curiosity and interest. He learned that his friend Henry Bowman was a Mason. He said to him, "I want to be a Mason," "All right," was the reply, "I will help you." After taking his degrees, to use his own words, "My enthusiasm so far increased that I resolved to try and start a Lodge here." And from these simple hints originally proceeded that which ultimately became Trinity Lodge. R. W. Alfred A. Burditt was born in that part of Lancaster now Clinton, known as Burditt Hill, on June 20, 1827. When 30 years of age he took his degrees in Morning Star Lodge in Worcester. He was thrice elected Worshipful Master and was thrice District Deputy Grand Master. He died March 25, 1906, regretted by all who knew him. Henry Bowman, the youngest member, was a native of Clinton and in 1858 held a responsible position in one of our large corporations. He entered upon the work of founding the Lodge with great energy and was elected the first Master under the Charter. At the end of the year he declined a re-election. In the early 1860's he left Clinton and died in Colorado on April 12, 1908. Daniel Marsh was a native of Hampstead, N. H. born in 1827, and came to Clinton in 1858. He was the first Treasurer and filled all the chairs from Junior Deacon to Master, being in the Last in 1866-67. He died March 18, 1900, leaving behind an enviable record as a citizen and a Mason. Brother George L. Thurston is probably the least known of the early members. He was the son of John G. Thurston, of Lancaster, one of the prominent members of Old Trinity in its last days. It is not known where Brother Thurston received his degrees. His health was frail and he went to war but was soon invalided home to Lancaster where he died and was buried with full Masonic honors by the Lodge December 17, 1862. Of A. M. Eaglesham but little is known. He was born in England or Scotland and came to Clinton sometime in the fifties to fill a position with the Bigelow Carpet Co. He received his degrees in St. Paul's Lodge in 1856. The place and date of his death are unknown. Charles W. Odiorne is still remembered by many of us. He was a native of New Hampshire and received his degrees in St. John's Lodge, Portsmouth in 1854, the year he came to Clinton. For 40 years he was an active and faithful member. He died at the age of 75 years in 1898. Horace Faulkner was a native of Lancaster and came to Clinton in 1846 and went away in 1859. Apparently he never became a member of the Lodge. Levi Green, Anthony Lane, Luke Bigelow, John G. Thurston, Reuben Blood, Joel Pratt, and possibly John Bigelow had been members of old Trinity Lodge No. 6. In 1858 they were elderly men and excepting Levi Greene lived in neighboring towns. They took active interest in the formation of this body and were frequently present at the meetings. Only three, Levi Greene, Reuben Blood, and Luke Bigelow joined the Lodge under the Charter. Of these, Levi Greene was Master two years, 1864-1866, and was active in its affairs until his death September 28, 1872. On getting their Dispensation, which was dated September 14, 1858, the Brethren set to work to fit up and furnish their hall. The committee in charge were Brothers Marsh, Bowman, and Burditt. The hall was small and the equipment in harmony. The total expense was $367.07. But this is not all. W. Bro. Burditt before his death told of the labors and struggles of getting into running order — to use his own words, "Bowman and myself did most of the work." Young as they were in the mystic art, they did one service of great historical value to Masonry. One of their first labors was to search for and recover the property of Old Trinity Lodge. They recovered the Jewels, Carpet, Seal, Charter, Records, and other valuable papers which are now in the possession of this Lodge — precious memorials of the older Trinity. The first year under the Dispensation was a busy one and the Brethren did a large amount of faithful work. None of the officers had previously occupied a chair, nor done any work, nor, save the Master, had any knowledge of the details necessary to conduct a well ordered Lodge. But they set themselves to the task with an earnestness and loyalty that deserves our warmest admiration. The first year they held 45 communications of which 12 were for the purpose of instruction in the work and lectures. The fees were fixed at $20.00, increased in 1866 through action of the Grand Lodge to $25.00, increased in 1869 to $35.00 and again in 1920 to the present amount of $50.00. The candidates were examined in open Lodge, a custom which has been ignored and revived several times since, but which should always be in existence. In accordance with ancient Masonic usage the regular communications were held the first Wednesday following the full moon in each month, and this continued until 1865 when the time was changed to the first Tuesday evening of the month. The first application was by Edwin A. Harris on September 29, 1858. The first Brother to be crafted and raised was Henry Eddy, who had already received his first degree in Morning Star Lodge. The first to be initiated an Entered Apprentice was Edwin A. Harris October 27, 1858. Among those given their degrees under the Dispensation and who afterward became prominent in local Masonry were Gil-man M. Palmer, Dr. George W. Burditt, S. S. Welch, Josiah H. Vose, and C. W. Field, Sr.
At the last meeting of the year, August 17, 1859, the necessary steps were taken to procure a Charter. Henry Bowman was chosen Master, Alfred A. Burditt, S. W, George L. Thurston, J. W., J. H. Vose, Treas., Henry Eddy, Secretary, Gilman M. Palmer, Marshal, George W. Burditt, Chaplain, S. T. Bigelow, S. D., Daniel Marsh, J. D., C. W. Odiorne and C. W. Field, Stewards. The first three officers were made a committee to prepare the necessary papers to procure a Charter. "That Trinity Lodge No. 6 was organized and instituted A. L. 5778 and consequently was one of the oldest Lodges in the state and country." "That the Lodge lived and prospered through many trials until the year of general Masonic disaster." "That it is the unanimous Desire of the brethren who regularly assembled in Clinton to reorganize under the ancient Charter ... we respectfully request your Most Worshipful Body to permit us to re-organize and work under the original charter of Trinity Lodge No. 6 A. F. & A. M., Henry Bowman, A. A. Burditt, George L. Thurston, committee, Clinton August 31, 1859. "The prayer of the petitioners therefore cannot be granted without a violation of the existing laws of this Grand Lodge." This action was a grievous disappointment to the Brethren. Doubtless the law requiring a denial of their prayer is a wise one and it is not for us to challenge either its wisdom or propriety. The Charter for the new Lodge bore the names of Henry Bowman, Alfred A. Burditt, Daniel Marsh, George L. Thurston, Charles W. Odiorne, Levi Greene, Luke Bigelow, Josiah H. Vose, and Henry Eddy, nine in all. Of these, two, Greene and Bigelow had been members of old Trinity. St. Paul's consented to the formation of the new Lodge as did the District Deputy Grand Master, and Trinity Lodge entered upon its prosperous life. The first meeting under the Charter was held September 21, 1859, when the hall was dedicated, the Lodge formally constituted and the officers installed. The Most Worshipful Grand Master, John T. Heard, performed the services, assisted by Chas. W. Moore, S. G. W. and Henry Goddard, J. G. W. with a full suite. Probably the most interested Brother present was E. Dana Bancroft, under whose guidance the Lodge had been formed and the officers educated and trained for their duties. His was an arduous task nobly done and the Lodge should ""Id his name in everlasting remembrance. The first home of the Lodge, Harris Hall, was occupied until 1869. It was small, inconvenient, and very plainly furnished. It was never satisfactory, and there were grave doubts about its security for Masonic purposes. In 1866 a committee was appointed to investigate and they reported that they thought by "taking proper precautions in talking, the hall was secure." In 1868 a committee secured the whole third story of the then new Tyler Block. The lease ran 10 years at $400.00 per year. All the furnishings were new and of the best pattern and the old regalia was also replaced. The hall was first occupied April 6, 1869, though not dedicated until the 28th of the following January in order to secure the attendance of the Grand Officers. The Lodge remained in Tyler's block a little over ten years. When the lease expired the Brethren and the owner could not agree upon terms of renewal and the Lodge solved the difficulty by leasing the apartments it now occupies, that is, the Lodge-hall, banquet hall, and anterooms adjoining the hall, the rooms on the other side of the lobby being acquired recently for social purposes. They were put in order and furnished at an expense of about $1500.00 and were dedicated October 20, 1882, with impressive ceremonies which no doubt may be recalled by a few here tonight. In the course of the seventy-five years, the Lodge has had the usual experience in the ebb and flow of growth. During the years following the Civil War a large amount of work was done. With 1875 work diminished and touched low water mark in 1885 when not a single degree was conferred and the Lodge lost 4 by dimit and one by death. Another period of growth then set in and continued with varying amounts until 1920 when a maximum of 45 were raised to the sublime degree of Master Mason, 1921 when a maximum of 47 applications were accepted and a maximum of 47 members were received into the Lodge membership. Beginning with a Charter membership of 9 in September 1859, it now has 487 members, which, due no doubt to the depression which has existed for the last few years, is a recession from the maximum of 508 members August 31, 1926. The years 1919 to 1924 were years of great activity, there being a total of 203 members added during the 6 years. The Lodge has accepted 969 applications, initiated 967 candidates, crafted 939, and raised to the sublime degree of Master Mason 914 Brethren. At the same time it has dimitted 157, and has lost 260 members by death. It has held 2074 communications to September 1, 1933. I hope these figures are correct, at any rate they are nearly so, but it would be very easy for a small error to creep in. While this is a summary of its 75 years of work, by no means does it cover all its activities. In the field of Masonic charity its record is equally creditable. An examination of the papers and records fails to show the full amount of its charities and assistance, due, no doubt, to the Lodge being more interested in the doing than in keeping the record thereof, but a total amount of J7000.00 cannot be far out of the way. Some of this has been paid out by the Trustees of the Palmer and other funds, some by the Relief Committee, much voted by the Lodge direct, and some raised by subscription. Consequently it would be very difficult even if possible to get a correct figure. and John C. Latham who was decorated with the Congressional Medal of Honor by General John J. Pershing at Bonnetable, Sarthe, France, January 22, 1919. Although I noticed that in his history W. Bro. Smith did not touch on any of the ordinary happenings of the Lodge during the first fifty years, I will mention a few outstanding occasions during the past 25. December 6, 1910, the British-born members of Trinity Lodge presented a handsome oil painting of King Edward VII as Most Worshipful Grand Master of Masons in England. March 15, 1921, those members of the Lodge born under the Stars and Stripes presented a companion oil painting of Worshipful Brother George Washington. September 23, 1913, was the celebrated Apron Night at which time about 70 Lambskins or White Leather Aprons were presented to those living Brothers who had not received one at the time of receiving the first degree. There have been sundry and various other special occasions almost too numerous to mention, especially to go into the details thereof. Past Master's Nights at which the Past Masters of the Lodge conducted the work. Bigelow-Hartford Nights at which the employees of the Bigelow-Hartford Co. conducted the work, with many visitors from Thompsonville, Conn., present, never, alas, to occur again. Sterling Nights when the Lodge was transported to Sterling, there to conduct the work to be done. In 1914 a fund known as the Savings Fund was established and varying amounts of money placed therein from time to time. September 5, 1916, a vote was passed creating the Building Fund taking the money from the candidate fees. Later a vote was passed to transfer the money from the Savings Fund into the Building Fund and abolish the Savings Fund. The Building Fund now amounts to $14,308.91. Several medals have been presented to members of the Lodge at different times, Henry Price Medals to Wor. Jonathan Smith and Wor. Frank P. Breed, Veteran medals to Bro. David Dias, Bro. Thos. F. Chase, Bro. Alex. R. Stevenson, Joseph Warren Medal to Wor. Henry A. Ancill. It was during the 25 year period that the Grand Lodge conducted its drive for the Masonic Home. Trinity Lodge contributed $1208.00 from 208 brethren since which time $5.00 has been assessed upon each candidate. For many years the question of "Club," was bandied back and forth, up, down, and sideways. Finally the pro-club faction won out and the Club was established in the rooms on the other side of the lobby, at first under its own power, but later the Lodge took it under its wing where it now dozes. Perhaps the most important thing the Lodge did was what it did not do. After many struggles with the question of buying real estate and many estimates on the cost of erecting many types of buildings on the same, it finally took the advice of Punch to young people about to be married and — didn't. This essay would hardly be complete did I not mention a few of our more prominent members who have "got out of the habit of living like you and me," and have travelled on before us to that undiscovered country from whose bourne no traveler returns. Bro. Gilman M. Palmer, who in his last will, left to the Lodge the sum of $2000, the income of which is for the relief of the widows and orphans of the Lodge. It now amounts to over $4800, and is known as the Palmer Fund. Bro. C. W. Field, Sr.
Bro. Chas. W. Field, Jr.
Let us pause for a moment in honor of their memory and the memory of more than 200 others. On such occasions as this the orator can only touch upon the salient points of the story. The real history of an institution, like that of a people, is not found in the official record, which is but the guide-post pointing the way over which it has come. It is found rather in the influence of forms, ideals, and principles upon individual life and conduct, whether they moulded for better or worse the moral sentiments and daily practice of individual men, and raised or lowered the plane of life on which they have lived or sought to live. Masonry is a moral institution, and it aims to make of its membership truer and happier men in all the complex relations of life. Applying this test it can be truly said of Trinity Lodge that it has "fought the good fight," it has "kept the faith." The influence of Trinity Lodge has lifted our lives to a higher plane, it has raised us all into a clearer and purer atmosphere. We cannot weigh nor measure these fruits of her career, nor can we adequately describe them, but herein is the true history of Trinity Lodge. Taking the implements of our daily vocations, it has given to them a spiritual meaning which has left impressions, strong and deep, of the moral quality of all our acts. It has instructed its applicants in the duties of temperance, fortitude, prudence, and justice, virtues which lie at the basis of every manly character. By ritual and form it has sown in our hearts the lessons of reverence, obedience, and of that charity which extends beyond the grave even to the boundless realms of eternity. The great fact of human brotherhood and our solemn duty to aid, support, and protect each other has been its constant admonition. It has held up to us the ideal of human perfection as the goal for which we are to strive daily by the aid of a virtuous education, our own endeavors, and the blessings of that supreme intelligence which pervades all nature and which can never, never, never die. By Worshipful Archie J. Horne and Worshipful George M. Rogers, Jr.
On September 14, 1858, a dispensation issued to a Masonic Lodge in Clinton established the birthday of the present Trinity Lodge. Tonight's gathering is in celebration of the one hundredth anniversary of the founding of this Lodge and to recount some of the happenings which have made Trinity Lodge outstanding in the Masonic and community life in the Clinton area. Such a gathering as this, however, should not only recount what has passed, but should also consider what the future has to offer. Fifty years ago, on September 7, 1908, the first history of Trinity Lodge was written and given by that excellent historian, Worshipful Brother and Judge Jonathan Smith, at the half-century celebration. Again, in 1933, another history commemorated the 75th anniversary of the Lodge. From both records we who have followed have been able to learn the background which was necessary to provide so solid a foundation for Trinity Lodge to continue its century of active Masonic life. That fifty-year history by Judge Smith not only told the story of the founding of the Lodge, but gave keen and descriptive biographies of its charter members. His entire work is written in the glowing and descriptive terms of that day which we of today can hardly hope to imitate. A passage or two of this history, however, fully suits tonight's celebration and is well worth repeating. "To recount the deeds of the founders is always an inspiration to better living, to higher endeavor and more zealous effort. Thus is the whole tone of our lives raised into the clearer and purer atmosphere and thus are we strengthened and comforted for the problems of the future. That this Lodge has lived fifty years of constantly growing life is the highest justification for its existence and proves the wisdom and foresight of its founders. No human institution can long endure which not does minister to some need of the human mind and heart. That it exists today, stronger and more influential than ever before in its history, that its membership, ever expanding in numbers, shows increased devotion to the principles and welfare of the Order, are full warrant that we should, for the hour, lay aside our usual cares and review the memory of the men who founded and successfully launched it upon its half-century of prosperous life." And even in that history, Judge Smith attempted to foresee somewhat of the future, for his last paragraph reads in part in this manner: "To those who shall stand in our places fifty years hence, to recall as we have recalled, the progress of the Lodge for the preceding half century, we would anticipate their uniting with us in our expressions of love for its founders. We should leave for them some proof that we hold the institution they transmitted to us in just regard, some proof of our attachment to Masonry, some proof of a deep and ardent desire to strengthen the great truths for which it stand. And when from a distance of fifty years, they shall look back upon us, they will know that we possessed affections, which running backward and warming with gratitude at what our Masonic fathers have done for us, will also reach forward to our successors and meet them with fraternal greetings of joy and hope. Standing here at the 50th milestone, we cordially welcome to this noble heritage our brethren of the second half-century. We invite them to share in the honorable traditions and loving responsibilities of this Lodge. We extend to them our right hand and place in theirs the emblems which will teach them to walk uprightly in their several stations before God and man, and to square their every act by the square of virtue." We to whom Worshipful Brother Smith addressed that paragraph stand here tonight with that same sense of thankfulness as did he for the labors of those many Masons who have gone before us in the last one hundred years. We trust that the work which we have done and which was started one hundred years ago will continue so that, as Judge Smith said, "those who look back upon us 50 years hence will be able to say 'Well Done' and may the inspiration of our work carry forward so that Trinity Lodge may become better, may become more strong in its influence and more vital in its position in the community." Bearing in mind that this is an historical address, consider with me for a few moments those early beginnings. Starting with a charter membership of only nine members, how it has grown till today we have over 450 members! What zealous men they must have been! Like the historian of the 50th Anniversary, I cannot let this moment pass without paying homage to these founding Brethren. Wor. Henry Bowman: elected first Master under the charter. Wor. Alfred A. Burditt: the first Senior Warden under the charter, who subsequently served as Master on three different occasions. Wor. David Marsh: first Treasurer of the Lodge, subsequently filling all of the chairs, being Master in 1866-67, and then Lodge Secretary for the years 1869 and 1870. For twenty years he was a faithful and zealous member, serving on many committees. To this man we are indebted for the Bible which rests on our altar tonight, which was presented to Trinity Lodge when it was first organized in 1858. Brother Goerge L. Thurston was Senior Deacon of the Lodge under dispensation and also acted as Secretary. His greatest service to the Craft was his assistance in locating the jewels and other property of Old Trinity Lodge No. 6. It might be well to mention here that Old Trinity Lodge No. 6 had forfeited its charter some thirty years prior to the founding of the new Lodge. Brother Charles W. Odiorne: for forty years an active and faithful member of Trinity Lodge and its Treasurer for quite a few years. Wor. Levi Green: one of the two charter members who had also been a member of Old Trinity No. 6. He served as Master of the Lodge for two years, 1864-1866. These were war years and most difficult ones for the Lodge. Of a membership of fifty-two in 1865, the Lodge had fifteen Brethren in the service. Wor. Josiah H. Vose: installed Master of the Lodge in 1862, entered the service of his country soon afterwards and was killed in action in June of 1863. As did Wor. Bro. and Captain Thurston, so did Wor. Bro. and Lieut. Vose illustrate that greater love hath no man than this, that a man lay down his life for his friends. The last charter member was Henry Eddy. He had secured his first degree in Morning Star Lodge in Worcester and was the first Brother to be crafted and raised in Trinity Lodge. He was Secretary of the Lodge from December 1858 to 1865. Consider these men, except for two, young in years, few in number, inexperienced in Masonry. Yet, because of their wise forethought and their brave determination, we today celebrate one hundred years of Masonic history in Clinton. Trinity Lodge was what we call today a "Moon Lodge" when it was first organized, meeting according to By-Law on the first Wednesday after the full moon in every month except July and August. This continued until August 1865 when the time of the meeting was changed to the first Tuesday evening of the month, and of course this By-Law governs the Lodge today. Each year new faces, new names and new ambition appear with the incoming officers of the Lodge. The quality of their work is reflected in the annual reports, but only in the hearts of candidates and Lodge members can the quality of their influence be felt. The efforts of the officers of the Lodge to bring to the members a quality of leadership is apparent in the continued life and growth of Trinity over the past one hundred years. The brief notes of many Lodge secretaries provide only a record that certain things happened; it remains for us to visualize and try to feel the amount of work that was necessary to bring these things about. And over the years that these officers and committees brought to the members some of the social aspects of Masonry, there was always the week to week and month by month list of candidates entering our doors, passing on their way, to raise the membership by one more Mason imbued with the moral lessons imparted by officers devoted to the teaching of our ancient ritualistic lessons. Nor is the record easily readable of the charity for which each Master was responsible, but there are notes in the records that tell enough of the story to show why Trinity Lodge is well regarded by those in need. Nor are the gifts and donations fully spelled out, but the good will and feelings of brotherly love engendered by each act provides further cement to unify the members and the Lodge with those in need. The Lodge has received honors and has conferred honors upon its friends and members for long service and for distinguished action, but so often the only reward is the satisfaction of knowing the work is well done. A multitude of excellent work, good deeds and examples of brotherly love do not reach print. From the records we can briefly present some of the life of the Lodge. These are the activities that have made it grow, have made it strong and have shown the caliber and ability of the Masons who going before, have added brick and mortar to the ever growing temples of Masonry. Of the three vital necessities, food, clothing and shelter, the latter appears as the perennial question over the years. The first location of the Lodge was in Harris Hall in the C. W. Fields block on High Street and the first meeting was held on September 8, 1858. This remained the meeting place for the next twelve years. A committee was appointed in 1866 to take into consideration the building of a new hall, but nothing resulted. Again, in 1868,' a committee was appointed, and after many negotiations back and forth, the whole third story of Tyler Hall was hired. The Lodge remained in Tyler's block a little over ten years, after which time it moved to its present quarters, which were dedicated in October 1882. On February 1, 1921, it was voted "that a Committee be appointed to investigate the purchase of the so-called 'Clinton House' vacant lot on High Street." No reports appears in the future records. On June 1, 1926, it was voted that "the Master appoint a permanent building Committee, consisting of three Trustees and other members as needed." This group was prompt and productive, and on June 27, 1926, produced a five-page typed report with the flat recommendation for the purchase of the Southwick property. However, all hope was dashed on receipt of an architect's report and on September 7, 1926, the project was voted no. Immediately the lease on the present quarters was renewed and new ceiling lights and window fans installed. Once more, in 1934, a committee studied the purchase of an available church but their report was unfavorable. As late as 1954, the advisability of purchasing the building where the present quarters are located was under study, but no final report was located. Almost immediately, following each study and report, the lease on the present quarters was renewed, and at a constantly increasing rent. Apparently future Masters and Building Committees will be faced with the returning urge to own a temple for Trinity Lodge. What some historian may later write will depend on the pressures of the ensuing years towards home ownership. Music is another of those problems which was just cause for the appointment of a committee. On March 4, 1924, it was voted "that the Master appoint a committee to find ways and means to buy a pipe organ." Nothing further appears in the records about an organ until thirty-two years later, in October 1956, when the Master, then Wor. Edward Cairns, received five dollars towards a new organ. However, the Lodge enjoyed some very fine music during a good bit of that period from an organ which I am told was presented to the Lodge by a Colonel John Thayer. There is no name-plate on it; so the date of its presentation is somewhat obscure. In March 1957 it was voted "to raise money for an electric organ." The urge towards progress persists, in this case aided and abetted by a five-dollar contribution as insurance that something should be done. One interesting report in January of 1947 states that "after two attempts to buy a radio, nothing had been done." The committee was thanked and their report received as a progress report. In 1949 the By-Laws Committee recommended an increase in dues and initiation fees, which did not pass. More recently, however, and with greater success, a redecorating fund was started and pledges insured a new carpet and decoration of the Lodge quarters. Most of these actions are known only to the members present at business meetings. However, there are other activities which present the Lodge to the public and show the world at large what Masons are. Among these activities, the Annual Church Service of Trinity Lodge has been outstanding. Churches in Clinton, Sterling and Berlin have been visited with a good turnout of members. Several of these pastors were members of the Craft and were therefore able to preach a distinctly unique Masonic sermon. The public also attended and the impression they received was certainly to the benefit of Masonry and Trinity Lodge. These same ministers were often principal speakers at Lodge meetings, more especially at "Service Meetings" which were educational in nature and preceded by some years the present Lodge of Instruction organization. Their subjects must truly have been well worth hearing. We find several "What is Masonry," "Masons and Builders" and "Mission and Ministry of Masonry." Following the church service on April 13, 1920, the Clinton Item ran a two-column story giving most of the sermon verbatim. Such publicity continued over the years until recently when it was cut off as with a sharp axe. The reasons for this change are obscure, but in this age where public relations must be favorably maintained, every effort should be made to return to pleasant and mutually beneficial newspaper relations. In making such a suggestion, your Historian believes that besides reporting on the facts of the past years, it should be his privilege to draw inferences from what has passed to assist those who follow. They should emulate that which is good and be guided away from that which is not good. Over the years, contributions were voted to worthwhile charitable organizations. Where it was not within Lodge policy to appropriate, then in a number of cases contributions were solicited. In 1934 a group collected to restore the First Baptist Church after a fire. Another sum was raised in 1947 for the General Leonard Wood Memorial. Being located near Fort Devens, the Brethren under the leadership of Wor. Robert B. Frazer sent $1,000 to the Masonic Service Center at Ayer. Many Masons in service found it possible to visit Trinity Lodge during their stay in this area. These service men from all over the country could not help but feel that close friendship which is the universal bond between all Masons. When they returned home each had left friends in Clinton. During the years of World War II, several of these visitors added to the meetings their experiences and provided a unique personal touch to the war years of the Lodge. Our contact with Masons at Fort Devens was close and well maintained, especially by Col. and Bro. Henry C. Peavey, who in 1945 was made an Honorary Member of Trinity Lodge for his continuous efforts to provide speakers and introduce visiting service men and Brothers to his Lodge away from home. An interesting sidelight on contributions and a sign of the changing times was the report by the Treasurer in June 1943 that he had finally brought up-to-date all Social Security bills dating back to 1937. It may be possible that more Masons love the history and prestige of Old Trinity Lodge No. 6 than presently know the full story of our Trinity Lodge. This was evident when on June 1, 1937, Grand Lodge requested the Charter and records of Old Trinity for safekeeping. Extended discussion resulted that night until the Lodge was closed. That is what the record says, but we can well imagine the heat that developed that June evening, for in the previous history Judge Jonathan Smith related the keen disappointment that resulted in 1858 when the original Charter of Old Trinity was not extended to our new Lodge. You will recall that a few moments ago I remarked that Wor. Bro. Thurston had helped to locate the charter of Old Trinity Lodge after the new Lodge was formed. This was of course the very sore spot which stood between reinstatement of the old charter and the issuance of a new one. The Old Trinity Brethren evidently refused to surrender their charter to Grand Lodge. Thus the Grand Lodge ordered the charter forfeited and for that reason it could not be reinstated. And now to have this original charter, which has been recovered and preserved by our Trinity Lodge, removed was in effect apparently stripping us of the heritage of one of the oldest Lodges in the Jurisdiction. Again in September, extended discussion ensued (the record says). At the October 5, 1937, meeting, further argument developed but it was finally voted to turn over to Grand Lodge the charter and records as they had requested five months previously. To recount all the special events of the past fifty years would be tedious. There are some, however, that bear repeating. We find many references to special nights. Sterling, Wickwire-Spencer, Bigelow-Sanford, Hudson, New Hampshire, Guest, Lancaster and Service Man's Night give an indication by their titles of the widespread friendship that Trinity Lodge has always engendered. Some of the Sterling nights were held in Sterling. At all times in Trinity Lodge its officers have been outstanding in their work. Where they themselves were already well skilled, they could then find pleasure in watching the work of degree teams who occasionally appeared to assist with a particular candidate who was possibly employed with members of the team. Among those who appeared were teams from Norton Company, the Heald Machine Hirams, the Starrett Craftsmen (Athol), the Scottish Hirams of Worcester and the Bigelow-Sanford Team. All did excellent work, as witness their return engagements. Past Masters' Nights have been high points in each year's work. The Lodge has always had the full and wholehearted support of its Past Masters, many of whom have returned to serve in important positions for many years. On March 15, 1921, at Past Masters' Night, Wor. Christopher S. White presented on behalf of American-born members an oil painting of Wor. George Washington, the most distinguished American patron of Freemasonry. This was to be a companion picture to that of the late King Edward of England presented in 1911 by British-born members. The Lodge prizes both these pictures highly and they serve as constant reminders of our great international heritage as Masons. On April 11, 1922, the twelve officers of Trinity Lodge acted as Fellowcrafts during that part of the work on Past Masters' Night. We do not find that this work has been completed in such a manner either before or since that date. In May 1956, the Past Masters raised Bro. William G. Coulter, whose father and grandfather were present, both being members of Trinity Lodge. Such family connections are not uncommon in the roster of our Lodge. Gifts to the Lodge have been appropriate and each was well received. In 1927 Wor. Herbert E. Parker presented three Great Lights in memory of his father who was a Past Master of Trinity Lodge. In 1943, Wor. Bro. Tuttle made and presented a 47th problem which has been in constant service. The Clinton Royal Arch Chapter presented a new altar in 1954 and an altar cloth from Bethlehem was given by Bro. 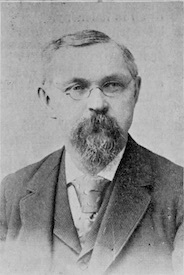 Robert J. Briggs. One of the most unusual gifts was that of Bro. Glenn H. Burpee, who gave to the Lodge six officers' aprons and one officer's collar, reported to have been stolen from a southern Lodge during the Civil War and lately recovered by his family. The Lodge name or location was never found. It gives rise to thoughts of the tragedy of war and the unMasonic conduct of some cowan or eavesdropper who, to be charitable in thought, did not know their value and attachment to the Lodge. After serving his Lodge for over thirty years, twenty-three as Secretary, two as Senior Warden, two as Master and four as Chaplain, Wor. Frank B. Breed was presented the Henry Price Medal on April 28, 1920. The fifty year history of Trinity is an outstanding literary gem. Its author, Judge and Wor. Bro. Jonathan A. Smith, was presented the Henry Price Medal for his many years of distinguished service to his Lodge and to Masonry. Such men leave visible landmarks of value to those who follow. On October 3, 1933, Wor. James Frazer was thanked by the Lodge for his part in making the 75th Anniversary Celebration a success. In 1945 he was presented a gift in token of appreciation for his twenty-one years of service as Lodge Secretary. Fifty-year Medals have been presented to many and each recipient serves as a living reminder that Masonry is a living thing, a teaching that so affects our lives and thoughts that we can carry on cheerfully day by day over the years. Each as a Master Mason enjoys the reflections consequent on a well-spent life and has the utmost faith in his immortality. Many other items of interest have been written in the records of Trinity Lodge over these one hundred years. The Lodge has lived up to the prestige of its mother, Old Trinity No. 6, and to the ideals of its charter members. It has been a motivating force in the life of the community and a stabilizing influence to its members in times of local stress. It has survived four major and several minor wars and has given good Masons to the service of our country. It has imparted to men that brotherly love, that friendship, that charity, that unity of spirit which makes all who have felt its influence better men and better Masons. And as Trinity has taught and lived Masonry, so will it continue under God's guidance away into the future and may its influence be felt beyond the grave, even to the boundless realms of eternity, so that future historians may also write "Well Done." At the conclusion of the ceremonies, the members of Trinity Lodge and their guests supped together at the Clinton House, and enjoyed, with speeches and music, a very pleasant repast. Trinity Lodge of Clinton, Massachusetts celebrated its fiftieth anniversary on Sunday and Monday, September 7th and 8th, in an appropriate and interesting manner. The exercises on Sunday were held in the Church of the Good Shepherd. The Rector Rev. James Sheerin, Chaplain of Triinity Lodge, delivered an able sermon appropriate to the occasion. Monday's programme of events began at 4 o'clock in the afternoon in the main lodge hall. There was a large number present. Frank H. Bullard, Worshipful Master, and other officers. occupied their respective stations. The exercises opened with prayer and singing by the Harvard Quartet. The Most Worshipful Grand Master was next received with his suite and conducted to the East. An historical address of marked ability and interest was delivered by Worshipful Jonathan Smith. Memorials to deceased brethren were then presented. A banquet was served at 6 o'clock. The brethren again assembled at 7.45 o'clock and resumed the literary programme. Right Worshipful Charles A. Bartlett served as toastmaster and introduced the speakers. Most Worshipful J. Albert Blake, Grand Master, responded fur the Grand Lodge. Other speakers were: Right Worshipful Brothers Oliver A. Roberts, W. H. L. Odell, Thomas W. Davis and Brothers W. L. Walker and Nathan Upham. Rev. James C. Duncan responded to the toast "The Ladies" and Rev. James Sheerin responded for Trinity Lodge. The many addresses of the evening were interspersed with selections by the quartet. September 23, 1913, is the date which will serve as an epoch in the history of Trinity Lodge, F. & A. M. On that occasion and in the presence of some 200 members of the order there was presented the emblematic apron to fifty-eight members, including all the living brothers of the lodge who had received their degrees from the date of the institution of the lodge in 1858, to 1896. The presentation, with accompanying incidents, proved a rare ceremonial, probably unparalleled in history, while from the many deceased Past Master's portraits which grace the walls of the lodge room there seemed to descend a silent benediction which added to the impressiveness of the event. At the designated hour all the Masonic brethren present marched into the banquet hall being presented by officers of the lodge and older members. When seated at the tables W. M. A. P. Meredith invited Bro. Rev. L. W. Adams to say grace and then the large assembly showed its faith by its works in disposing of the sumptuous repast furnished by Bro. G. A. Whitney, the culinary past master of the lodge. Subsequently, after an intermission, the guests of the occasion were seated in the sides of the lodge room and the brothers who were to receive their aprons, escorted by some of the Masonic elders, filed in, being given the central seats. In commencing the formal exercises of the evening, Worshipful Alfred P. Meredith made brief remarks stating that while members received into the lodge since 1896 had been given aprons at date of their initiation, those admitted in the thirty-eight previous years had not been presented with the Masonic symbol. This situation having been brought to the attention of the lodge at the communication held in September, of last year, a committee was appointed to secure the names of all members who had not received the symbol of the order, with the events of this evening in view, W.M. Meredith complimented the Past Masters and other members by whose expenditure of time and labor the solid foundations were laid upon which the lodge has been brought to its present prosperous condition. The charge of the program was then committed to Past Master Henry A. Ancill, who made a pertinent address from which are here given a few of the leading points. Primarily the speaker expressed his consciousness of the honor devolving upon him n joining with the younger members of the lodge in paying due deference to those brethren who have seen many years of service. None are better entitled to the lambskin, the badge of a Mason, than those who have worked with other members who have gone to that bourne from which no traveler returns—than the older members who piloted Trinity Lodge over rough and rugged paths through days that were dark and stormy, until the lodge has become one of the most flourishing under the jurisdiction of the Grand Lodge of Massachusetts. Some of our destitute members have long anticipated that sometime they might also possess this appropriate Masonic symbol, and that "sometime" and "some day" has at last arrived and the first tangible evidence of admission to the fraternity is now to bo presented. Reference was then made to the character of this recognized badge, to its color and material — being made of unspotted white lambskin, without device or ornameni, beautiful in its simplicity, bearing only the dates of the reception of each of the three degrees. The several candidates for the honor of receiving thi gift were successively called to the East where P. M. Ancill presented the aprons, and in a felicitous manner, ii many instances making personal allusions which wreathed in smiles the countenances of the recipients am1 won applause from the audience. Among those thus called to the front were seven Past Masters of Trinity Lodge, viz: G. A. Brown, E. P. Breed, William Hamilton, C. H. Hastings, H. A. Putnam, L. H. Parker and Jonathan Smith; also Joseph McGown, formerly a P. M. in Southegan Lodge, in Mason Village, N. H. No member was honored with warmer reception as he stepped forward to take his badge than Bro. Dr. P. P. Comey, now of Augusta, Ga.
Of the brothers who at this time received a lambskin fifty-eight took their degrees in Trinity Lodge and eleven in other lodges, joining Trinity bv demit. Four were raised in other countries: Fred H. Richardson in Canada, Robert Maitland and Govan Maitland in Scotland and Joseph Lawson in Ireland. The number of absentees to whom the committee subsequently mailed aprons was fourteen. An incident of the evening which deserves mention was the presentation of a Past Master's jewel to W. M. Alfred P. Meredith; in the presentation, in behalf of the lodge, Past Master Ancill alluded to his personal and successful efforts to place Wor. Master Meredith on the road to the East at a time when it was more difficult to fill the chair than it now is to fmd candidates for political offices. With the jewel, congratulations were tendered, with expressions of regret that the present incumbent was unable to accept a re-election. Bro. G. Edwin Sawyer, Past Steward of the Grand Lodge of New York, being called upon for remarks spoke briefly complimenting Trinity Lodge on its prosperity and on the success which had attended the rare and impressive events of this occasion. Mr. Sawyer is the son of the late N. Chandler Sawyer, a former resident of Clinton, and a grandson of Esquire Ezra Sawyer. Past Master Jonathan Smith spoke of Masonry as he knew it forty-eight years ago in New Hampshire, comparing the order and its present work with what they then were, remarking that the ritual, with very slight vari-tions, is the same now as then. Masonry is founded on the same instincts and principles as in its early history. Customs may change, opinions may change, but there are no changes in Masonry for it is based on principles as immutable as the Deity. It is our joy and boast that we belong to an order that changeth not — the speaker adding remarks complimentary to the unique events of the evening. 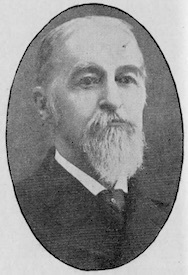 Past Secretary W. E. Parkhurst followed with reference to the many successive alternations, in past centuries of civilizations and eras of savagery, in Egypt, Peru, and in prehistoric America, suggesting that if in the distant future the Masonic organization may fade away its dissolution will be but preliminary to a resurrection in some new form with principles, if such possibility exists, even in advance of these now held by our revered order, and enduring into the Beyond. Tom the Piper; encore, Who Built the Ark? When the Little Ones Say Good Night. Auld Lang Syne — in which the audience participated. The exercises were concluded by the recitation, by the entire assembly, of the Master Mason's obligation. The committee which had charge of the evening's program were Worshipful Alfred P. Meredith, Henry A. Ancill, Christopher S. White, and George S. Estes, with Brothers Charles Mayberry and William S. Duncan. The organization of this committee was: Chairman, Henry A. Ancill, secretary, George S. Estes; while Christopher S. White is credited with the artistic lettering of the chronological data on the lambskins. The 75th anniversary of the Trinity Lodge, A. F. & A. M., was observed in the Masonic Hall, Clinton. Mass., September 20. with many guests attending from Boston, Worcester, Leominster, Fitchburg, Sterling, Hudson, Mass., and Marlboro and Thompsonville. Conn. Most Worshipful Curtis Chipman, Grand Master of the Massachusetts Grand Lodge of Masons, with other grand officials, was the guest of honor. The program included historical sketches of Trinity Lodge by W. M. Christopher S. White, and by W. M. Gerdon A. Brown, and also addresses by Robert Frazer. master, and the grand master. Franklin G. Field was the soloist. A collation was served in the banquet rooms. Historical relics and documents, including the petition for a charter, the original charter of the lodge, a gavel presented to the lodge by Dr. Edwin L. Harris, that he secured while on a trip to the Holy Land, were on display. The lodge was formally instituted September 21, 1859, by John T. Heard, M. W. G. M., Charles W. Moore, S. G. W., Henry Goddard, J. G. W. The first home of the lodge was Harris Hall, over what is now a clothing store. In 1869 it removed to the third story of Tyler's Block, then just built, where it remained for a period of over 10 years. The present quarters it now occupies, in the Blank Block on the entire top floor, was dedicated in October, 1882. Trinity Lodge has increased from a charter membership of nine to 487 members, and has held 2,074 meetings. It has lost 260 members by death. Charter officers who are now deceased were the following: E. Dana Bancroft of Groton, Master; Henry Boyman, S. W.; Alfred A. Burditt. J. W.; Daniel Marsh, Treasurer; George L. Thurston, S. D.; A. M. Eaglesham. J. D.; C. W. Odiorne, S. S.; Henry Eddy, J. S.; George L. Thurston, acted as Secretary. Judge Allan G. Buttrick was chairman of the committee in charge of the program. Others assisting were the following: Arthur S. Rollins, first vice-chairman; W. M. Henry A, Ancill. second vice-chairman; W. Gordon A. Brown, and W. Christopher S. White, historian; W. Harold Toole. historical documents; W. Herbert H. Parker, hospitality; W. Harvey Greenwood, publicity; W. James Fraser, secretary; W. William Hamilton, W. Walter W. Wright. W. Charles Mayberry, W. James M. Donnelly, W. David C. Latham. W. Guy E. Kidder, Raymond Heney and present W. M. Robert Frazer. This page was last modified on 28 December 2018, at 08:56.